High Green Gymnastics Academy is a well established gymnastics club, established in September 2013, in the North of Sheffield based at Paces Campus. High Green Gymnastics Academy began with little over 80 members and since then we have grown to have over 700 participants per week! We offer General Gymnastics class for children from age 5 and upwards. We have a specific Adults Class where we make keeping fit fun, meeting people and learning new skills. We also have a Women’s Artistic Squad’s and have a view to begin a Men’s Artistic Squad who work with specialist coaches separately to General Gymnastics classes. Our Head Coach Paige was previously mentored by Andy Wood MBE who was the Head Coach and Manager at Ipswich Gymnastics Centre . Andy has over 30 years experience in gymnastics coaching and coaches children from pre-school through to international level. Through her association with Andy, Paige has gained momentum in her coaching career and has had the privilege of working with International Level Gymnasts in Ipswich. Paige has recently joined an exclusive group of member coaches who are part of Nick Ruddock’s Inner Circle – this is a unique group coaching programme for ambitious gymnastics coaches, designed to drastically improve their coaching output and the results that they get for their clubs and athletes. This programme has given Paige many opportunities to liaise with other like minded coaches as well as High Performance Coaches from across the world. Paige wants to now build a club coaching children from total beginners and developing them into competing gymnasts initially with other local clubs but then progressing to Regional and then National competitions. The classes will be about having fun, learning in line with British Gymnastics Proficiency Awards and doing something different every week. 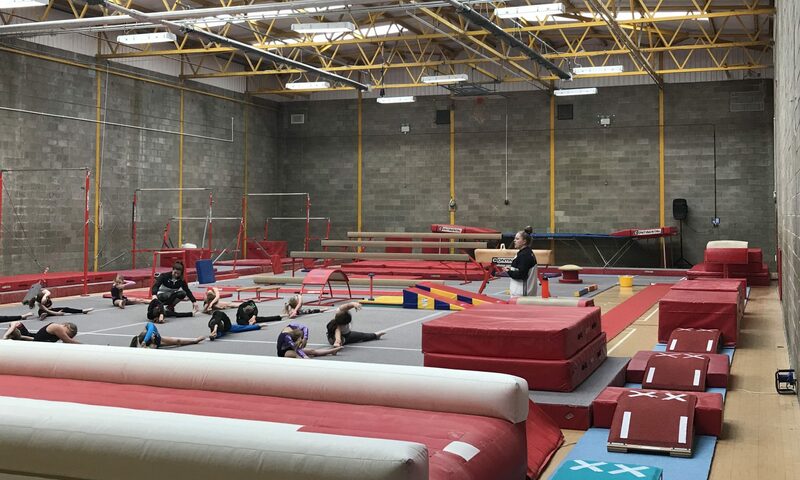 We have all four pieces of equipment for Women’s Artistic Gymnastics which includes a 12mX10m floor area, a 10m Tumble Track, a Vaulting Table and other Vaulting equipment, Full Sized Beams, Uneven Bars as well as a full sized Competition Trampoline. We are always purchasing new equipment so every month we have more equipment in the gym. We have just made contact with GymNova and have an initial quote for a full set of GymNova Equipment. You can contact Paige, Paul and Julie on 07572 857 223 to ask any questions.